High Quality Stainless Steel fork Get a durable and rust-resistant stainless steel 2 tine fork for your kitchen.. • Super Durable - Will last a lifetime • Comfortable- mirror polishing - stainless steel fork • Ergonomic Designed • Stain and Rust Resistant • Smooth surface color/finish: beautiful mirror finish Dishwasher safe but hand wash is recommended, thickness: 6.0mm. No crevices for dirt to get stuck or bacteria to accumulate This two-tine elite pot fork has been made from brushed stainless steel that is highly durable and highly attractive. 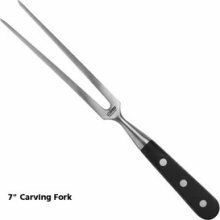 On top of its strong material, this fork has one-piece construction that only strengths its durability. 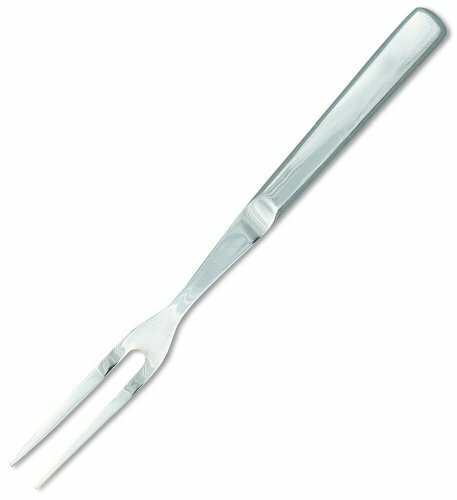 This two-tine elite pot fork has been made from heavy gauge stainless steel that is highly durable and highly attractive. 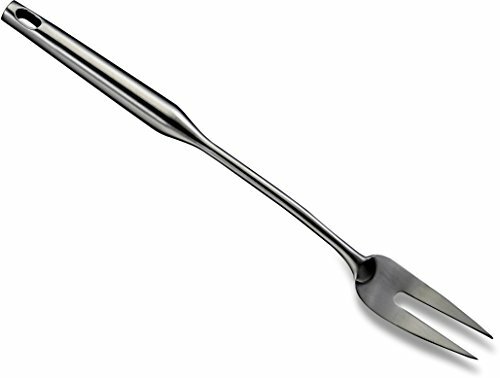 On top of its strong material, this fork has one-piece construction that only strengths its durability. It has also been given a mirror finish that will beautifully compliment any surrounding decor. Measures 11-1/5-inch length. 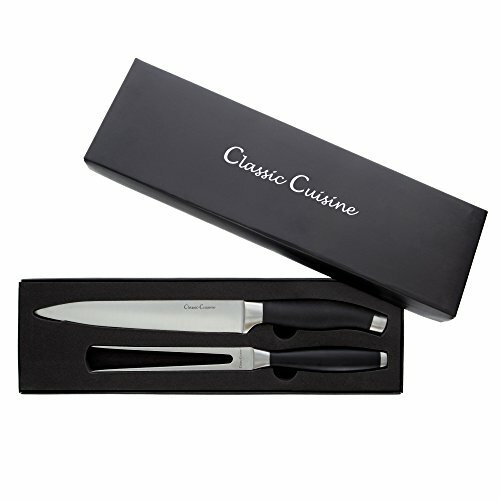 * Carving Fork * Full Tang * Pom Black Handle * Forged Stainless Steel * 7-inch Blade * 11-inch Total With Handle From The Manufacturer: Knives Are Manufactured From Forged Stainless Steel For Durability. The Blade Grinds Easier So It Stays Sharper Longer. All Knives Are Triple Riveted And Made With Full Tang Blade. Easy Grip Handle Provide Comfort And Balance. 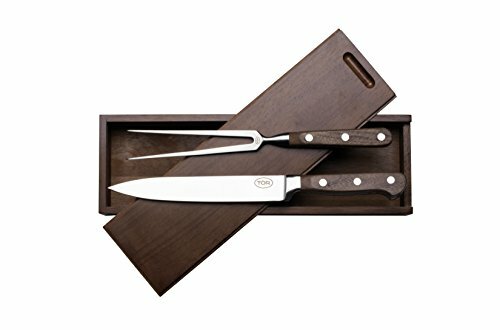 THE STORY OF TOR - TOR Kitchen Products are named after TOR MORGAN, a German kitchenware inventor whose patents include prongs, blades, and handle design. His combination and dedication to kitchen utility and aesthetics launched the TOR line of kitchenware. 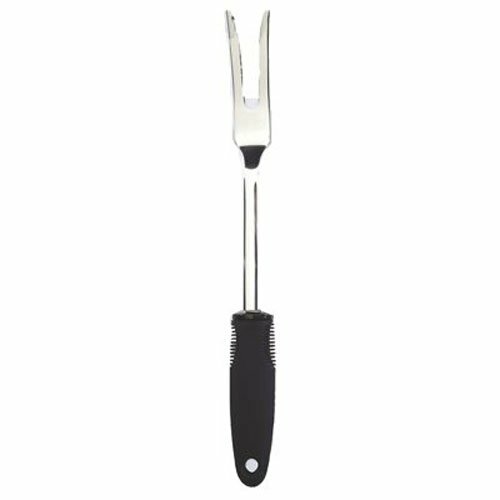 It now comprises a Turkey Lifter Set, A Carving Knife and Fork Set, Clam Knife, Oyster Knife, and Shrimp Deveiner. All TOR Products are backed for life. 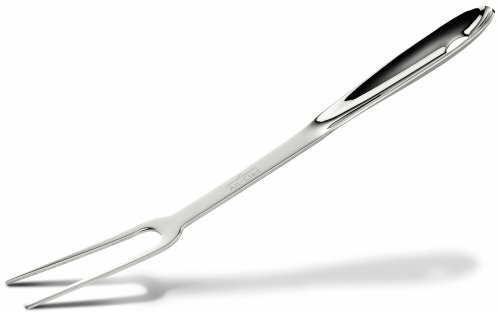 Copyright © Wholesalion.com 2019 - The Best Prices On Stainless Steel Carving Fork Online.